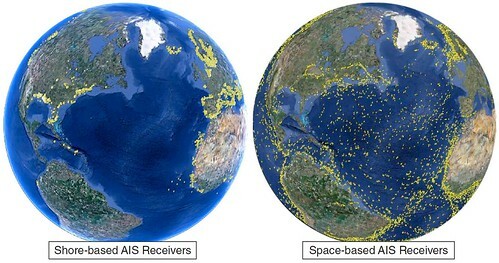 Google paid several million dollars for the satellite technology to pinpoint ships' locations. "These things cost three million dollars for the whole program," Michael Jones, "Chief Technology Advocate" at Google Ventures, said at the annual Joint Warfighting Conference held by the US Naval Institute and the electronics industry group AFCEA (see article). Google has talked to representatives of 50 navies worldwide about their new technology and has discovered it tracks ships better than their own commanders can. "I watch them and they can't see themselves," Jone said. "It angers me as a citizen that I can do this and the entire DoD can't." While none of this makes Google an intelligence agency, it certainly highlights a trend of great interest to the intelligence community and the military. Michael Jones, Chief Technology Advocate at Google, makes a presentation to the 2012 Joint Warfighting Conference. "I think the macro level issue here is: Welcome to the new age of transparency," said Keith Masback, president of the US Geospatial Intelligence Foundation." Access to data from space-based and airborne commercial remote sensing from has become relatively ubiquitous; GPS is ubiquitous and the Chinese and Europeans are also launching their own PNT [positioning, navigation and timing] systems. This announcement by Google regarding ship tracking and collection of bathymetric data, along with the current discussion of the potential of proliferation of unmanned aerial systems in the skies over the United States is the natural extension of the transparency we've seen coming for years." Like its nascent project to map the ocean floor, Google's new technology to track ships on the surface takes advantage of prior investments by others. In this case, it's the Maritime Automatic Identification System, known as AIS, a system of transponders installed in all legitimate seagoing vessels that periodically transmit their position to avoid collisions even when the crews can't physically see each other due to darkness or heavy weather. AIS signals are only designed to be detectable up to 20 nautical miles away, but researchers led by Greece's University of the Aegean developed larger (Marine Traffic), land-based antenna that can pick up the signal over greater distances -- but that still only picks up vessels relatively close to shore. From overhead, however, the two satellites Google is using can detect ships anywhere on the ocean. The company is already working with governments around the world to help them track fishing vessels poaching in their exclusive economic zones and plans to make the data available to an estimated billion users of Google Maps. While the ship tracking maps are interesting, this is not a new technology although Google has apparently improved it. Google's involvement will mean, of course, that virtually anyone in the world can access the information. Still, there are very clear limits to the technology. Most important, any ship can turn off its transmitter, meaning that Google's tool probably doesn't pose any threat to critical military operations. As an intelligence source noted, Google's shipping data faces important limits. "It's not the ships you can see, but the ships you can't see that matter," this source said. However, the technology clearly could be useful for practitioners of change detection, people looking for patterns to US and other seaborne operations. 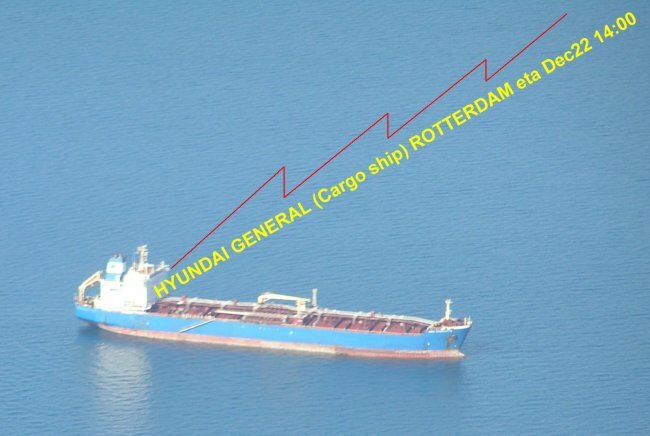 It could conceivably be useful to terrorists and pirates looking to plan attacks on commercial shipping, for example. A longer term project may pose graver risks. Google has a five-year project to map the entire ocean floor using an unmanned seagoing sensor, whose accuracy -- within "a few centimers" might discover the resting places of top-secret spy satellites and other sunken wreckage national security authorities had thought was hidden forever, potentially triggering a "treasure hunt" by foreign powers, Jones warned. "ONR [Office of Naval Research] had done research on this but they had run out of funding," Jones said. So Google tracked down 17 people who had worked on the project before their contracts were cancelled, hired them, and has restarted the initiative itself. "The Navy's tested it, it works great; [but] they got too poor. They just couldn't do it," said Jones, himself the proud son of a Navy sailor. "That's just not right." Detailed knowledge of the sea bottom has historically been the purview of those relatively few countries with submarine fleets and deep sea submersibles. These programs are just examples of the kind of intelligence data available to anyone with a modest investment "instead of a huge 20-year national program," Jones said. Google already uses the 20 billion photos publicly available on the internet to generate uncannily accurate three-dimensional composite images of cities and individual buildings around the world, even including the interiors of major landmarks like St. Peter's Basilica in the Vatican. said Jones, "Don't sit idly by while adversaries use new technology and you just sleep." However, several intelligence experts noted that, while Google's data possesses enormous commercial appeal, its military and intelligence utility is limited. Most Google images are weeks or months old, at least, making them problematic for that most rarified and demanding use -- targeting. And as one intelligence source noted: "Just because you have the data, doesn't mean you can analyze the data or know how to use it. "intelligence source noted: "Just because you have the data, doesn't mean you can analyze the data or know how to use it. "ean you can analyze the data or know how to use it." YouTube : Michael Jones, Chief Technology Advocate at Google, makes a presentation to the 2012 Joint Warfighting Conference. Inspired by the works of Jack London. Shot on the coast of British Columbia, Washington, and Oregon. Diving under the Antarctic ice to get close to the much-feared leopard seal, photographer Paul Nicklen found an extraordinary new friend. Share his hilarious, passionate stories of the polar wonderlands, illustrated by glorious images of the animals who live on and under the ice. Paul Nicklen photographs the creatures of the Arctic and Antarctic, generating global awareness about wildlife in these isolated and endangered environments. Photographer Camille Seaman shoots icebergs, showing the world the complex beauty of these massive, ancient chunks of ice. A time-lapse of Planet Earth, created from images produced by the geostationary Electro-L Weather Satellite. The images were obtained beginning on May 14th, and end on May 20th 2011. Eclipsing NASA’s updated “Blue Marble” shot, which is a composite of many satellite images, this image is a single-shot taken from 22,369 miles away by Russian weather satellite Elektro-L No.1. They are taken every half hour, and have been interpolated (smoothed) to create this video. The images are taken in four different wavelengths of light, three visible, and one infrared. The colors are quite different from the ones on NASA’s photos of Earth. The images are the largest whole disk images of our planet, each image is 121 megapixels, and the resolution is 1 kilometer per pixel. To capture the image, the satellite combines visible and infrared wavelengths of light. The infrared light is reflected by forests and vegetation, which appear orange in these images, which is why the parts of the Earth that would normally be green are seen as rusty brown. You can explore the zoomable version of the image here. Gizmodo : Why do these breathtaking Russian images of Earth look so different from NASA’s? Additional charts (not yet ready in Mercator/WGS84) will be ready in the next future for this layer. Mariners should keep French nautical charts up-to-date by consulting the SHOM Notices to Mariners (Groupe hebdomadaire d'Avis aux navigateurs / online). So today Marine GeoGarage is able right now to display 4585 charts (1993 freely) coming from 11 international Hydrographic Services. • No national hydrographic office (HO), State Authority, and their licensors have verified the information in this product or quality assured it, and none accept liability for the accuracy of reproduction or any modifications made thereafter. No national hydrographic office and their licensors makes any warranties or representations, express or implied, with respect to this product. No national hydrographic office warrants that the product satisfies national or international regulations regarding the use of the appropriate products for navigation or that it contains the latest hydrographic information available. • All charts are used directly from existing government and other official charts ("© SHOM - reproduced with authorization n°4/2012") and should not be used solely for navigation. Digital charts are intended to be used as an aid to traditional navigational charts, not as a replacement. Only official government charts and notices to mariners contain all information needed for the safety of navigation, and as always, the captain is responsible for their prudent use. M.I.S. (GeoGarage editor) and the SHOM give no warranty in relation to the data (including accuracy, reliability, completeness or suitability) and accepts no liability (including, without limitation, liability in negligence) for any loss, damage or costs relating to any use of the data. This information may not be copied, reproduced, translated, or reduced to any medium or machine readable form, in whole or part. L'application iPhone/iPad est issue du GeoGarage, plateforme web et mobile de cartographie nautique et réalisée à partir des produits numériques provenant du SHOM. Aucun service hydrographique officiel n'a vérifié les informations contenues dans cette réalisation et ne peut-être tenu responsable de la fidélité de leur reproduction ou de toute modification ultérieure. L'utilisation de ce produit dérivé n'exonère pas de l'obligation d'utiliser les documents nautiques appropriés prévus par les règlements nationaux ou internationaux. "© SHOM - reproduit avec l'autorisation n°4/2012"
Ainsi l'utilisateur convient que l'usage de cet outil cartographique en ligne n'est qu'une aide à la navigation qui ne peut en aucun cas se substituer aux cartes et documents officiels de navigation. M.I.S. (éditeur du GeoGarage) et le SHOM se dégagent de toute responsabilité pour tout dommage relatif à l'utilisation de l'outil. De plus son usage est strictement protégé : les informations ne peuvent pas être copiées ou reproduites sous quelque forme que ce soit, en tout ou partie. Using the latest satellite tracking technology, conservationists from the Wildlife Conservation Society, the University of Exeter (UK), and the Government of Mexico have completed a ground-breaking study on a mysterious ocean giant: the manta ray. The research team has produced the first published study on the use of satellite telemetry to track the open-ocean journeys of the world's largest ray, which can grow up to 25 feet in width. Researchers say the manta ray -- listed as "Vulnerable" by the International Union for Conservation of Nature (IUCN) -- has become increasingly threatened by fishing and accidental capture and now needs more protection. The study was published May 11 in the online journal PLoS One. (quartic kernelling; grey polygons showing 25%, 50%, 75%, from darkest to lightest grey). "Almost nothing is known about the movements and ecological needs of the manta ray, one of the ocean's largest and least-known species," said Dr. Rachel Graham, lead author on the study and director of WCS's Gulf and Caribbean Sharks and Rays Program. "Our real-time data illuminate the previously unseen world of this mythic fish and will help to shape management and conservation strategies for this species." The research team attached satellite transmitters to manta rays off the coast of Mexico's Yucatan Peninsula over a 13-day period. The tracking devices were attached to the backs of six individuals -- four females, one male, and one juvenile. "The satellite tag data revealed that some of the rays traveled more than 1,100 kilometers during the study period," said Dr. Matthew Witt of the University of Exeter's Environment and Sustainability Institute. " The rays spent most of their time traversing coastal areas plentiful in zooplankton and fish eggs from spawning events." Like baleen whales and whale sharks, manta rays are filter feeders that swim through clouds of plankton with mouths agape. The research team also found that the manta rays spent nearly all their time within Mexico's territorial waters (within 200 miles of the coastline), but only 11.5 percent of the locations gathered from the tagged rays occurred within marine protected areas. And the majority of ray locations were recorded in major shipping routes in the region; manta rays could be vulnerable to ship strikes. "Studies such as this one are critical in developing effective management of manta rays, which appear to be declining worldwide," said Dr. Howard Rosenbaum, Director of WCS's Ocean Giant Program. In spite of its malevolent, bat-like appearance, the manta ray -- sometimes referred to as the "devilfish" -- is harmless to humans and lacks the stinger of the better-known stingray. The manta ray possesses the highest brain to body ratio of all sharks and rays and gives birth to live young, usually one or two "pups" every one or two years. Manta rays are apparently declining in the Caribbean and in other tropical regions of the world's oceans, in part because they are captured for shark bait and a demand for gill rakers (small, finger-like structures that filter out the ray's minute zooplankton prey) in the traditional Chinese medicinal trade. The violent rise and collapse of an underwater volcano in the Pacific Ocean is captured in startling clarity for the first time. Researchers studying the Monowai volcano, near Tonga, recorded huge changes in height in just two weeks. The images, gathered by sonar from a research ship, shed new light on the turbulent fate of submarine mountains. Published in the journal Nature Geoscience, the findings were made during a seabed survey last year. Lead author Tony Watts of Oxford University told the BBC that the revelation was "a wake-up call that the sea-floor may be more dynamic than we previously thought." "I've spent my career studying the seabed and have generally thought it pretty stable so it's stunning to see so much change in such a short space of time." As many as 32,000 underwater mountains have been identified around the world and the majority are believed to be volcanic in origin. Several thousand of these may be active but a combination of ocean depth and remoteness means that very few have been studied. This research into the Monowai volcano provides a fascinating insight into the little-known world of submarine geology. Monowai was first spotted from an aircraft in 1944. Surveys over following years found evidence of significant change - with the sea discoloured and seismic activity detected. But this latest analysis compared images gathered on May 14 and then June 1-2 last year and even in that short period the volcano had undergone a transformation. Travelling on the research ship the R/V Sonne, the scientists first spotted that the sea above the volcano had turned a yellowy-green and gas bubbles were rising to the surface. According to Professor Watts, ""I had butterflies. The gas was smelling awful - like rotten eggs. We saw a slick ahead of us and with something venting, there could have been a sudden shallowing of the water." The team then left the area to carry on with planned research elsewhere but three days later were warned that seismic detectors on the Cook Islands had detected violent activity around the volcano over a five-day period. "If we had been over the volcano during the eruption, rocks could have hit the hull of the ship - that could have been potentially dangerous." Later the ship returned to the scene and the scientists were surprised to see how much the volcano had changed. In the space of a fortnight, one part of the volcano's summit had collapsed by as much as 18.8m while new lava flows had raised another area by 79.1m. Most striking was the creation of an entirely new volcanic cone. 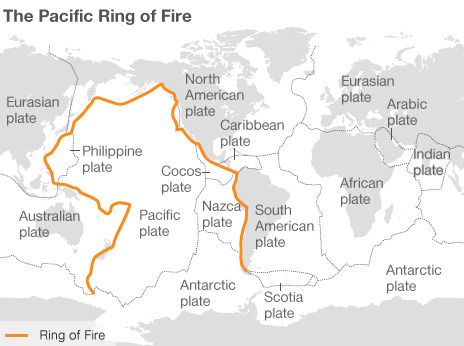 The researchers believe the changes are larger than at most other volcanoes. Only Vesuvius and Mount St Helens have recorded larger growth rates. The paper says the speed of growth and change is "a reminder of how rapidly geological processes such as submarine landsliding and volcanism can occur." Professor Watts said: "Any movement on the seabed has the potential to create a tsunami. 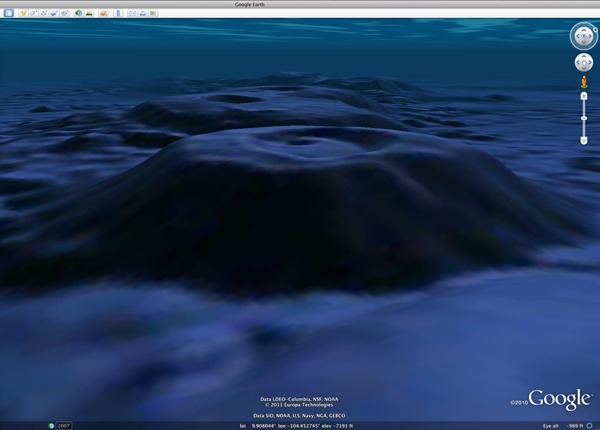 An earthquake suddenly dislocates the seabed. Here a violent disturbance lasted five days with magma oozing out which might be too slow to trigger a tsunami - but it's unknown. "This is a violent exchange of rock into the water - it could destabilise the cone and cause a landslide which in principle could cause a tsunami. 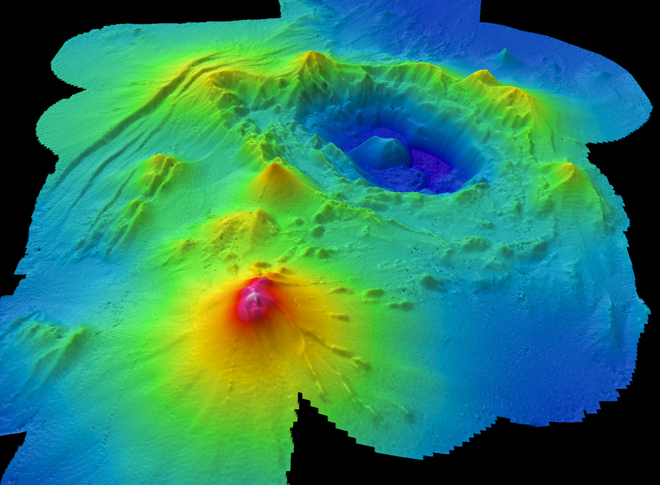 The same expedition's survey produced stunning images last year of a line of underwater volcanoes being carried inexorably to the chasm of a subduction zone, the Tonga Trench. That research was investigating whether the volcanoes exacerbated or dampened the pressures on the fault line. I have the Marine US app for my iPhone. How do I delete tracks from the screen? Actually, the track is just visible in LIVE when the application is ON. So with the multitasking feature inside (iOS > 4), you need to force to really quit the application. For that, use the Multitasking bar to close any app you want. Press and hold anywhere on the multitasking bar until the icons on it start to wiggle. While they are wiggling, each icon has a Minus sign symbol above it. Press the Minus symbol above Marine US application to close it down. Beidou (Compasss) Satellite Navigation System is a global satellite navigation system consisting of 35 satellites. It became operational with coverage of China in December 2011. Services to customers in Asia-Pacific region will be offered by 2012 and the global system should be finished by 2020. Beidou now offered location, timing and navigation data to China and surrounding areas, announced the project's spokesman Ran Cheng. China has been working on the system since 2000 to provide an alternative to the US government-run Global Positioning System (GPS). The move should make China's military less dependent on foreign technology. 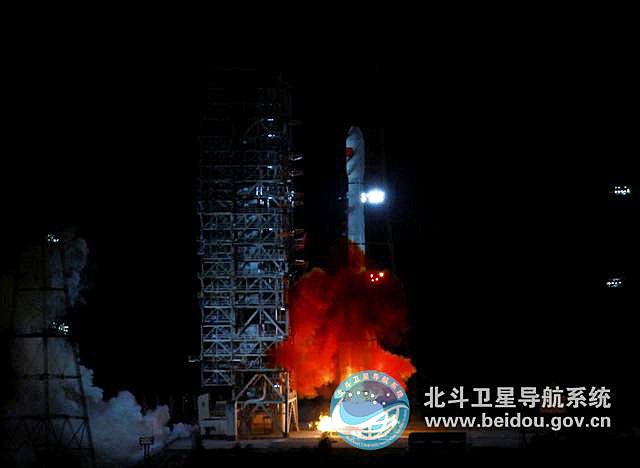 A launch earlier this month delivered the 10th of Beidou's satellites into orbit. Beijing plans to send a further six satellites into space by 2012 to extend the system to most parts of Asia, and then expand the network to a total of 35 satellites offering global coverage by 2020. Beidou - which translates as the Plough, or Big Dipper - promises to offer civilian users positioning information correct to the nearest 10m, measure speeds within 0.2m per second, and provide clock synchronisation signals accurate to 0.02 millionths of a second. The Chinese military will be able to obtain more accurate data. A 2004 study by Geoffrey Forden, a researcher at the Massachusetts Institute of Technology, US, suggested that Beidou could be used to target cruise missiles against Taiwan if a war broke out over the territory. Having its own system would protect China against the risk that the US could turn GPS off. A 2011 report for the website defensepolicy.org suggested the network could also be used to guide drones to destroy foreign naval forces were China to come under attack. However, Beidou's developers also stress day-to-day benefits for the public. They told China Daily that the system could create a 400 billion yuan ($63.2bn, £40.4bn) market in related applications for the automotive, telecommunications, fishing and other industries by 2020. Mr Ran also noted that the system is compatible and interoperable with the world's other navigation systems. Beyond GPS, Russia operates the Glonass network. It recently launched a series of satellites to cover gaps in its system and reported earlier this month that it once again covered 100% of the Earth's surface. The EU is also developing its own system - Galileo. The first of its operational satellites entered orbit in October. The European Space Agency said the network should be completed in 2019. Meanwhile, American defence developer Lockheed Martin is working to upgrade the US's system to GPS III. The firm has begun constructing a prototype next-generation satellite in a facility near Denver. The US Air Force said the new system would have more power, making it harder for enemies to jam it, and allowing the signals to penetrate deeper into built up cities and dense foliage. The Congressional Budget Office has estimated that the project will cost $25bn by 2025. Intelligent and adaptable, these dolphins have developed a unique technique for catching fish that ordinarily remain tantislisingly out of reach near Shark Bay in Australia.